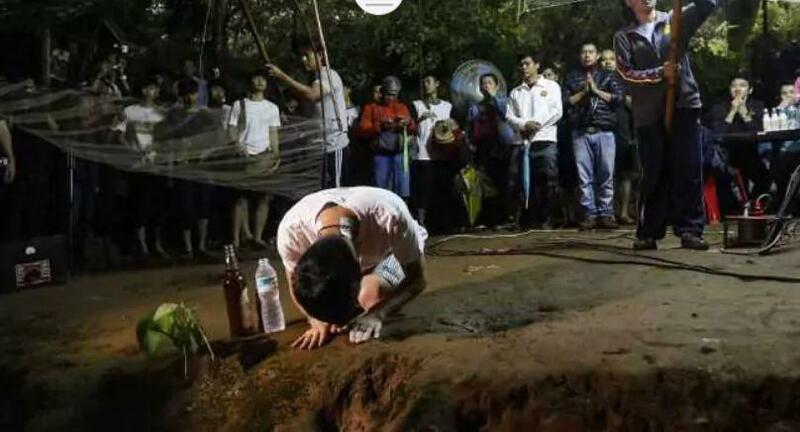 Parents of 12 young football players trapped in a flooded cave in Thailand prayed outside the cave on Tuesday. It has been four days since the 12 young players and a coach got trapped. People of nearby are have been sent to find the team and coach who are stuck somewhere due to heavy rain and flood. Tensed relatives gathered in front of the cave and prayed for the safe return of their children. Footage of a local media showed a relative crying, "My child, I'm here to get you now." 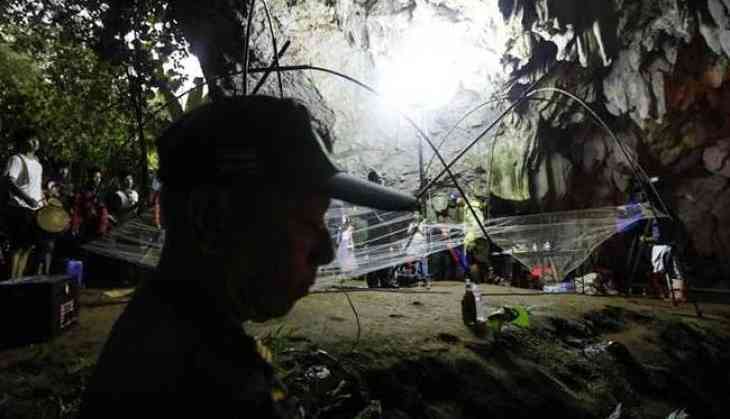 The young football players are aged between 11 and 16 and are believed to have gone deep inside the cave due to rains, it is believed that the cave is several kilometres long. 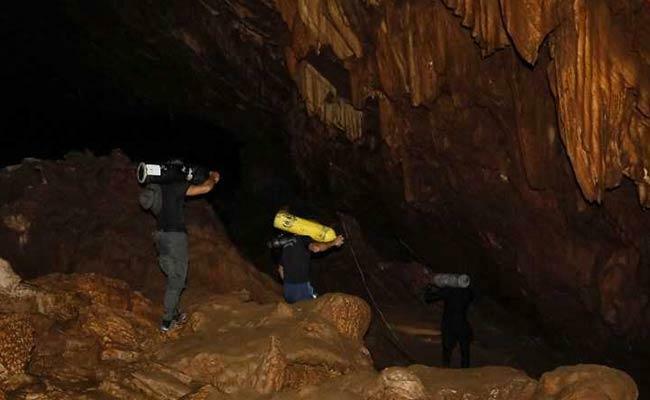 In pictures, Navy SEAL carrying oxygen tanks and food rations are seen entering the cave on Tuesday in northern Chiang Rai province, while it continues to drizzle.